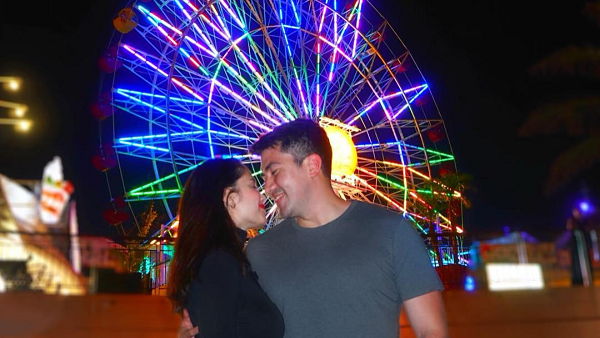 Celebrity couple Luis Manzano and Jessy Mendiola locked lips for a photo marking their third New Year together. This time around, they celebrated the holiday in Korea. Back in 2017, a similar pose was posted by Jessy of them traveling in Japan. Recently, they've been both promoting Jessy's recent Metro Manila Film Festival movie alongside Jericho Rosales, The Girl In The Orange Dress.